Why Wood Crossties? It's Simple! Performance: Wood has inherent properties that make it the choice for over 93% of all track applications in North America today. It is stiff, but forgiving. It can be easily spiked or drilled for rail fastening systems and it holds up under millions of gross tons of traffic. Plus, when it is properly treated, it lasts a very long time. 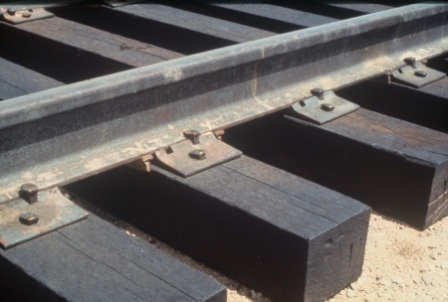 Economics: Throughout the North American rail system treated hardwood ties stay in track an average of 30+ years. No other product offers the initial and long term life cycle economics in the greatest variety of track applications as the treated wood crosstie. Environmental Friendliness: Imagine a world where the end of a product’s life cycle results in a near-net balance in terms of energy consumed and generated. A world where our planet’s health and the customer’s needs gain equal footing. If this sounds like a visionary’s dream, welcome to The Green Future – at least as it relates to the life cycle of the venerable wood crosstie. Wood is derived from an alternative fuel – solar energy. Wood acts as a carbon sink and traps greenhouse gases. Wood is the only renewable resource used as crosstie material (compared to concrete, steel, and plastic/composite). When its useful life is over, the wood tie is arguably the best source of biomass fuel that exists in our world today. Even the preservative creosote, used to make ties last over 30 years in high-stress railroad track applications, is naturally derived as a byproduct of the coal-coking process. And, it's a biodegradable product as well. 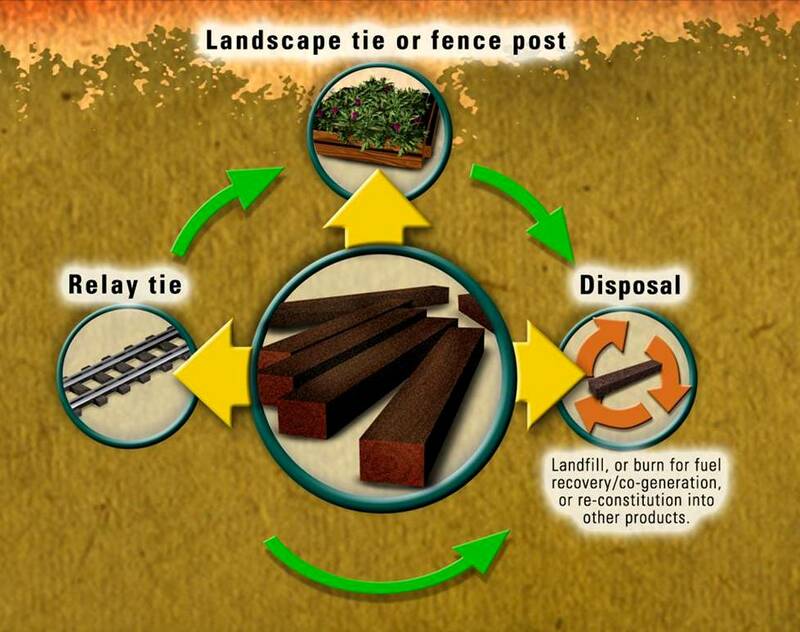 Used ties are a great biomass energy resource. By increasing the combustion or gasification of used ties, we can reduce our dependence on fossil fuels and other sources of energy. The Railway Tie Association is among the proponents of using wood crossties as biomass fuel after they have reached the end of their useful life. The RTA campaigns to educate decision-makers to facilitate development of reasonable guidelines and regulations that result in additional cogeneration plants close to stocks of treated wood crossties ready for final disposal. Biomass is a term that refers to all kinds of organic matter. Biomass energy production refers to a variety of methods that convert organic matter into forms of energy. Biomass cogeneration is the production of two forms of energy, a comparatively economical and environmentally friendly alternative to the use of fossil fuels. The gasification process generates a clean gas that can be substituted for natural gas in energy-producing applications such as gas turbines and fuel cells. As they grow, trees absorb carbon dioxide from the Earth’s atmosphere acting as a carbon trap for greenhouse gases. At the end of their useful lives, ties produced from trees are sources of economical, recoverable biomass energy.